From crafts making to driving cars, you can start these 10 businesses on a budget. You know you want to start something for yourself. You just need to funnel your ambition and time into an idea that will earn extra cash, make you proud, and possibly lead to a full-time venture—and that amazing moment you get to say “I quit!” to your boss. But what great idea should you say “I start!” to? These businesses can be started on a full- or part-time basis. Your location may be an online presence, your clients’ homes or businesses, a work van or truck, or even a small storefront. You will advertise locally with fliers, cold-call potential clients, or set up shop with a website and online advertising campaign—finding customers will depend on the business idea you choose. Finding the perfect words to describe why people’s experiences, special skills, and interests make them the right candidate for a job is difficult work. That is why resume services continue to flourish despite the fact that most people have the tools (a computer and word processing program) to write their own. If you are a wordsmith with a human resources, management, or administration background, this idea may be the perfect opportunity for you. One of the best aspects about the idea of starting a resume service is that you can start small, part-time, and keep costs low by working at home with your current computer. It is the perfect opportunity for people looking to earn an extra few hundred dollars a month. In addition to resumes, other ideas include writing cover letters and thank-you notes, assisting with LinkedIn profiles, and helping clients build portfolios if their industry requires them. As a way to separate your resume service idea from competitors', considering offering consulting on how to dress for interviews, how to handle themselves in a stressful interview situation, how to make follow-up telephone calls, how to prepare for interviews, and how to network for that dream job. Advertise locally, online, and through career expos. Once established, word-of-mouth advertising and customer testimonials will go a long way to keeping you busy with this business idea. If you love to shop, this is the business idea for you. Earn great money and have fun by starting a personal shopping service assisting people who are too busy to shop, who do not like to shop, or who cannot get out to do their own shopping. 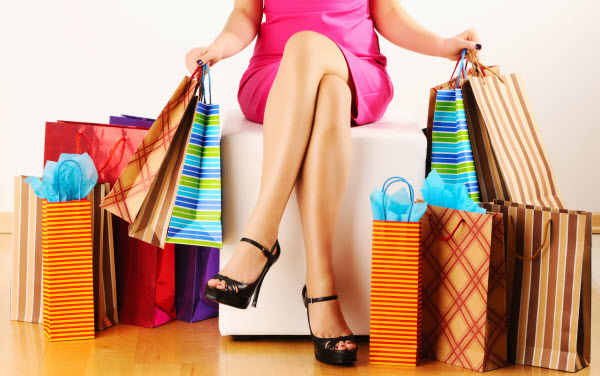 Lots of busy and well-heeled people love the idea of hiring personal shoppers to select gifts for any number of special occasions, including birthdays, births, weddings, holidays, and anniversaries. And it is not only new products they are after: Personal shoppers are also hired by interior designers and collectors to rummage through flea markets, consignment shops, antique dealers, and garage sales for collectibles, art, books, antiques, and funky home and office decor. Corporations hire personal shoppers to purchase gifts for customers, prospects, business partners, investors, employees, and executives, as well as to purchase products for gift bag giveaways at special events, ceremonies and seminars. Seniors and other people who may find it difficult to get around hire personal shoppers to purchase groceries, clothing and other home and personal products. Best of all, no experience is required to get started. If you love to shop, have good taste, are creative, and do not mind networking with business owners, corporate executives and people from all walks of life, you are qualified to turn the personal-shopper business idea into a reality. Calling all people with sewing skills and a sewing machine! It is time to capitalize on your talent and ideas by providing garment and fabric alteration services right from the convenience of a home workspace, and earn a bundle of money in the process. Dry cleaners, fashion retailers, uniform retailers, bridal boutiques, costume shops, drapery studios, and consignment clothing shops—all are potential customers for your service. In fact, any businesses that retail or rent clothing of any sort are potential customers, and for that matter so is any person who is in need of alteration services. Try this idea as a quick-start marketing method: put on a comfortable pair of shoes and start calling on businesses most likely to require alteration services. Offer free pick-up and delivery, fast turnaround times, great service, and quality workmanship, all at fair prices. Your business clients benefit because they can offer alteration services to customers for free, ensuring repeat business. Or, they can make it in to a profit center by marking up what you charge. Along with your sewing skills, you will need the tools of the sewing trade and reliable transportation to bring this business idea to fruition. 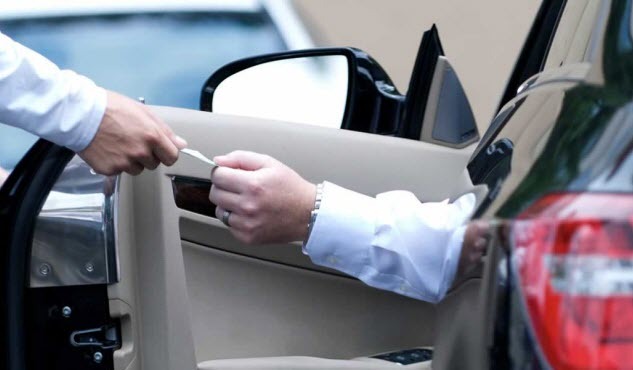 A driver’s license, the ability to obtain third-party liability insurance, and an outgoing friendly personality are the three essentials for the business idea of a special-events valet parking service. The business can be started with minimal cash, is a great part-time idea, and the profit potential is excellent, as rates for valet parking services are in the range of $50 (P2,355) to $70 (P3,297) per hour for a two-to-three person crew. And it goes almost without saying that tips can really add up! There are many great ideas to market your valet parking services directly to consumers hosting parties and events, corporations hosting conventions and other event and wedding planners, trade show organizers, and charity groups and organizations. Uniforms worn by all staff and emblazoned with your business name and slogan, along with incredible customer service and a smile, will make a great impression on customers that is sure to secure lots of repeat business and word-of-mouth referrals. A love of children and party planning are the two most important prerequisites for starting and operating a children’s party service. And this is a hot business idea: Parents are spending much more on their kids' parties than they did a generation ago. First, you can operate on a mobile basis and throw the party at your clients’ locations. Second, you can host the parties from a rented space or reserved park, requiring partygoers to come to you. Regardless of whether you operate mobile or from a fixed location, duties remain the same—plan the party, decorate, provide entertainment, food, and beverages, stage games and contests, and make the event one heck of a lot of fun for kids and their parents. Rates will vary depending on the menu, entertainment, games, and frills, but start at about $20 (P942) per guest and go as high as $100 (P4,710) per guest for highly specialized and themed party ideas. Making, decorating, and selling one-of-a-kind cakes and cupcakes for occasions ranging from birthdays to weddings to anniversaries is a great business idea for the hobby baker to pursue, and one that is potentially very profitable. 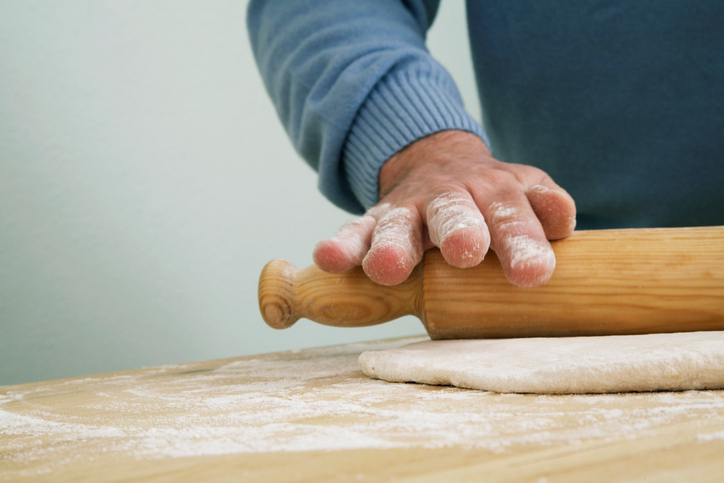 You can get started on a shoestring budget by baking and decorating right in your own kitchen. Contact wedding planners, photographers, bridal shops, event coordinators, restaurants, kids party planners, and catering companies to let them know about the specialty cakes you bake and sell. An effective marketing idea is to send samples of your cakes to make sure they send business your way. Create a website with photos of your creations, and post those photos on social media sites. On a large scale, you can rent commercial kitchen space so you have enough room to mass-produce cakes that can be sold wholesale to restaurants and grocery stores. Baking and decorating specialty cakes can be very profitable, as ingredient costs are only about 15% to 20% of the retail selling price. Take your pots and pans, cooking skills, and love of food, and hit the road as a personal chef for hire. Prepare gourmet meals for people hosting house parties, special occasion events such as birthdays or anniversaries, and corporate luncheons—basically anywhere there is a kitchen on-site that you can use to create your mouth-watering gourmet masterpieces. Personal chef services are quickly becoming a popular alternative for people who do not have the budget for a full-scale catered event and for others hosting small gatherings not requiring complete catering services. The advantages for this start-up idea in comparison to a full-service catering business are apparent: low overhead and initial investment, full-time or part-time operating hours and easy management from home. That idea may appeal to people who want to slow down, but at the same time want to earn an excellent income doing something they love. Promote your personal chef service idea by joining business associations and community social clubs to network and spread the word about your business and menu. The service can easily be supported by word-of-mouth advertising and repeat business once established, providing the food is great and the service is second-to-none. Additionally, building alliances with party planners and event coordinators is a marketing idea sure to land work. Rates vary according to factors such as the supply of food and the type of menu requested. However, average earnings are $35 (P1,647) to $50 (P2,355) per hour. Do you have a secret recipe that makes friends salivate? A particular obsession for a certain ingredient like local honey or vanilla extract? Many entrepreneurs like you are making small-batch foods in their kitchens to sell at upscale food shops, local restaurants, and farmers' markets. Ideas include infused oils, flavored salt, candies and truffles, salsas and hot sauces, jerky, pickled vegetables, and fruit jellies and butters. Quality is key as consumers will expect the best local ingredients if they are paying a premium for your homemade goods. A good back story and excellent salesmanship helps, too! You may need to entertain the idea of renting space at a community commercial kitchen that caters to businesses just like yours. Second, make sure you are creating your food safely, especially if you are canning foods. Then, start cooking! Have friends and family act as tasters until you perfect your creations. Then hit the local farmers and craft markets and street fairs to sell your goodies. If you know how to sing, play guitar, piano, drums, or a wind or string instrument well enough to teach others, then what are you waiting for? Capitalize on your talents and earn a great full- or part-time income by teaching clients how to play your instrument of choice. Classes can be conducted one-on-one or in a group format, at your home, the student's home, a rented commercial space, or at a community facility, in conjunction with community programs, continuing education, or an established music store. Expanding the business idea requires nothing more than hiring other experienced musicians to teach students. Fees are split—basically, you find the students, your instructors teach the classes, and everyone profits. Lesson rates will vary depending on class size, skill level and instrument, but on average, group lessons cost students $10 (P470) to $20 (P941) per hour and one-on-one lessons are in the range of $40 (P1,882) per hour, plus the costs of instrument rentals or purchases, course materials, and sheet music. Alternately, if you prefer the idea of teaching music without the added work of operating a business, then subcontract your musical teaching talents to an existing music school and earn in the range of $15 (P700) to $25 (P1,176) per hour. Knitting, painting, printmaking, and many other arts and crafts have gained popularity in recent years. People are more than willing to shell out their hard earned money to learn. If you have mastered an art or craft, why not train others and earn substantial profits for your efforts? Day, evening, or weekend classes can be taught from a homebased studio, rented commercial space, in partnership with a crafts retailer, community center, or school. Another idea is to offer lessons at art nights at bars and breweries. Promote your classes through local retailers, in community magazines and online event listings by posting fliers on community bulletin boards, and by exhibiting at arts and crafts shows. Creative entrepreneurs may even choose to film the training classes for online broadcast or sell instructions or patterns on craft marketplaces like Etsy. You can also create special classes for children on the weekends. The options are nearly limitless when you have a talent that other people want to learn. Rates vary depending on how many people are in each class and material and equipment requirements, but on average, arts and crafts instructors can expect to earn in the range of $25 (P1,170) to $50 (P2,350) per hour.